Which uses Crystals or gemstones as part of the art. 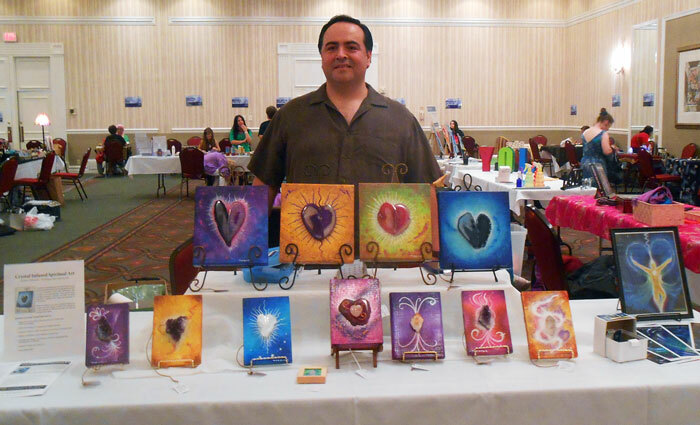 Personalized paintings infused with heart manifestation energy. Prints of Visionary Spiritual Art of Acrylics on Canvas. What is Crystal Infused Spiritual Art? Crystal Infused Spiritual Art, is an evolutionary spiritual painting style that integrates the power of our conscious intent and emotions with Crystals and Gemstones. This combination creates powerful spiritual art with purpose that shift, upgrade and raise the vibration in any space.